Here lately, Huff the Babe has been suffering from a very persistent (and very nasty) diaper rash. I mean, I have never seen diaper rash this bad. So after telling myself I was a terrible mother and then realizing he was cutting teeth which caused diarrhea, which produced very acidic poo’s, which means a red tushie. With Huff the Babe, I used Desitin for all of her rashes. It healed it fairly quickly but it meant for about two days we had to put her in disposable diapers (Desitin is no bueno for cloth diapers) and we were trying to be strictly CDs for a hot minute. Now that I’m not working full-time (outside of the home) we’ve been trying to use cloth diapers as much as possible with Huff the Babe because it saves us moolah (and its good for the environment). So Huff the Babe’s diaper rash has been driving me a little batty. Mostly because I hate seeing that he’s in pain (he was wailing every time we’d change his diaper) and also because I wanted to get back to strictly cloth diapering. I told my aunt about this over the weekend while at a family function and she told me about coconut oil. She said it heals diaper rash quickly and its safe for cloth diapers! I decided to give it a try! Luckily, Huff the Hubs had some coconut oil on hand, so I slathered it on Huff the Babe every time I changed his diaper. Y’all, I could see MAJOR results after just ONE diaper change! This stuff is UH-MAY-ZING! It has TONS of uses and not just for diaper rash! Have you ever tried coconut oil? What did you use it for? Did you like it? Share in the comments below! If you’ve gone to a baby shower lately, you’ve probably seen some of the super cool products that are on the market for babies, toddlers, and mommas! I saw a post the other day about some UH-MAY-ZING gear for littles and HAD to share! This travel tray is PERFECT for those long road trips that you want your kids to be occupied with toys but don’t want to be spending your time dislocating your arm as you paw around the floorboard for that toy truck that Little Johnny dropped for the millionth time! I don’t know about you, but I loathe giving Huff the Tot medicine. For some reason when she sees that dropper of Tylenol, she loses her every-lovin’ mind! She flails her arms around and ends up spilling most of it down her shirt leaving me to try and calculate just how much she actually got in her system. This would help SOOOO much with those battles! The Sippy Sure has a removable dosage cup so you can get your little one to take their meds without spilling it everywhere! These awesome cups were designed by parents that were sick and tired of washing tons of dishes everyday because their kids “needed” a new cup every time they got a drink of water. Phillup Cups stick to glass, metal, tile and fiberglass and are color-coded for each kid! There have been so many times that we’ve gone out to eat, only to realize we’ve left Huff the Tot’s sippy cup at home. And, unfortunately, not every restaurant has kid’s cups or lids (though you’d think they would). Enter, SnipSnap. This handy little device can transform any cup or glass into a spill-proof kid’s cup! They come in Snug Spouts (AKA, sippy cups) or Snug Straws (in the picture above) for older kids! I don’t know about any other breastfeeding mommas, but I always hate getting asked the question, “How much is your baby eating at every feeding?” Uh, I don’t know. Its not like these milk makers come with an indicator that shows my kiddo ate four ounces. Until NOW. Meet MilkSense: The Personal Breastfeeding Monitor. This handy dandy tool calculates how much milk is in each breast before each feeding as well as after so you know how much he’s taking in! Awesome right?! What about you? Do you know of any tech or gear that are helpful hacks for parents? Share in the comments below! This weekend was really hectic. We had three, count them THREE, birthday parties this weekend! Needless to say, I’ve eaten waaaayyyy too much cake in the past 72 hours. And, bonus, both of my kids passed out at naptime today because they had such a blasty blast! On my Mommy Monday posts, I tend to talk about the frustrating, difficult, and downright annoying parts of being a parent. Like when your toddler won’t eat. Or how you finally get into bed for the night, only to have a child start crying for you in the other room. Or, how you start the day with the best intentions of being a sweet, patient mom only to have it go out the window when its time to run errands. But there are so many moments that being a parent is such a joy! Like when your two and half month old smiles at you for the first time. Or how your heart skips a beat when you see your husband rocking both kids in the rocking chair. What about you? What are some of your favorite parts about being a parent? Share in the comments below! Ever since hitting the third trimester, my body has decided to start punishing me. Mostly by making me feel like everything from now non-existent waist down is just going to crumble under the weight of my son. Seriously. I don’t remember being in this much pain when I was pregnant with Hermione. Anywhoo, so with all of this pressure on my back, legs, hips, feet, and ankles I realized I needed to do something. Especially since I’m not due for (at least) another 5 1/2 weeks. There’s no need to suffer for another month if I can do something about it. When I first saw it I was like, “Ugh. Do I really want to wear something like this?” But then the saleswoman at Motherhood Maternity showed me how to use it. She basically put it on for me and adjusted the straps. When she was done, it was like a bright light from Heaven appeared and the angels began to sing. This thing is basically the greatest thing since epidurals. It lifts, it relieves pressure, and helps me be able to walk to another room without dragging one of my legs behind me like a wounded animal. My only complaint is the fact that I have to take it off every time I have to pee. Which, let’s face it, is basically every 10 minutes now that we’re in the downhill slide of pregnancy. Even with that, though, this maternity belt is seriously the best. I can stand/walk/exercise again! HOLLA! Have you ever used a maternity belt? Did you try something different? Share in the comments below! Today I am officially 19 weeks pregnant. Which, essentially means I’m almost halfway done! I honestly can’t believe it; this pregnancy has FLOWN by! My pregnancy with Huff the Tot was so exciting! Everyday I couldn’t wait to see what new stage I’d hit or what fruit my pregnancy app would compare Hermione to. This go around, though, its such a different story. First Pregnancy: You document EVERYTHING. Dear Journal: Today I did six loads of laundry, mopped the floors, cleaned the bathroom, and had time to make dinner. This pregnancy thing is a breeze! I just know I’ll be able to keep this momentum after the baby is born. After all, everyone says the baby sleeps ALL the time! When you’re simultaneously chasing a two-year old and trying not to drop grocery bags, your mind has little space for focusing on what’s going on inside your body. Except when you’re hungry. During my first pregnancy, I worked out about 3-5 times a week throughout my entire pregnancy. Because, you know, I actually had the time. Plus, I was terrified of it taking me forever to heal and I knew I had signed up for a marathon just 7 months after Hermione was born. I still try to workout as much as I can. But I’m not attacking it with the same ferocity as I did during my first pregnancy. Plus, I count lifting my kid and chasing her around Target as “working out”. I logged every piece of food that passed my lips during my pregnancy with HtT. I made sure that every meal had a lean protein, a complex carb, and some fiber. I’m telling ya, when you’ve got a toddler to care for, a house to keep standing, and other responsibilities, sleep is pretty much non-existent. You’ve got to re-charge as best you can. Each pregnancy is different and comes with its own unique joys and challenges. But, the one thing I can say that has stayed consistent is that I still have no idea what I’m doing. You just have to get up everyday and tell yourself, “Alright, let’s do this thang!” and try to be the best you can be! Have you noticed any differences in your pregnancies? Any similarities? Share in the comments below! It had been a rough twenty-four hours. Huff the Babe had been running a high temp the day before and she wigged out in the middle of the night–crying, shivering, and acting like she was in pain. I felt like we should go to the ER, so we drove to the nearest one in a panic. After hours of holding HtB down for tests, vitals to be checked, and temperatures to be taken, she was finally discharged at 2:00 a.m.
We got home and I slept for about 3 hours, Huff the Hubs slept about 2 hours, and Huff the Babe didn’t sleep at all. Needless to say, we were all exhausted. It was obvious that the Mother’s Day extravaganza would have to be put on hold. Normally, I would have been devastated. But, all I could think about was my kid. Was she safe? Did she feel better? Was she still running a temperature? Was she going to be okay? And, in those moments I realized something: motherhood is not about hearing “Thank you” every time you do something. Its not about your kid or your husband bringing you breakfast in bed or freshly picked flowers. Its about putting others ahead of yourself. Its self-sacrifice, a heart of servant-hood, and a love so deep that it almost cannot be explained. Don’t get me wrong, the flowers and food are great, but they’re not everything. Even though the day didn’t go as planned, I still think I had a great day. My kid was safe, my husband told me he appreciated me, and I got to see my family. I could’ve done without the frantic run to the hospital, the overwhelming feeling that came along with social obligations, and a screaming, cranky baby. BUT, that’s where life happens. So, as you know, I turned the big 3-0 last week! And, to lament celebrate the fact that I am now “over the hill”, I decided to do a 30 By 30 List. Last Thursday, I told you which items I had crossed off (in JUST the nick of time!) and which ones I had left. Now, to wrap this fun little venture up into a nice little bow, I’m going to do a review/critique of my year(s) in accomplishing my goals! This goal was tough. I’m no seamstress, and I was afraid of what I might make. But I actually really enjoyed learning about sewing! Plus, I got to spend a lot of one-on-one time with my mom which I don’t get much anymore. 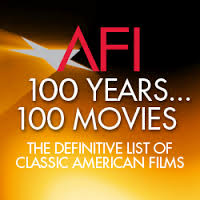 Watch all of AFI’s 100 Years, 100 Movies. If you want to spend your weekends waking up at the crack of dawn, running in freezing temps, and putting your body through all kinds of pain then, by all means, train for and run a marathon. I ran three times during the week and every single Saturday morning for almost five months. There were days I’d wake up before Huff the Hubs and Huff the Babe and not see them until lunchtime! It was tough! 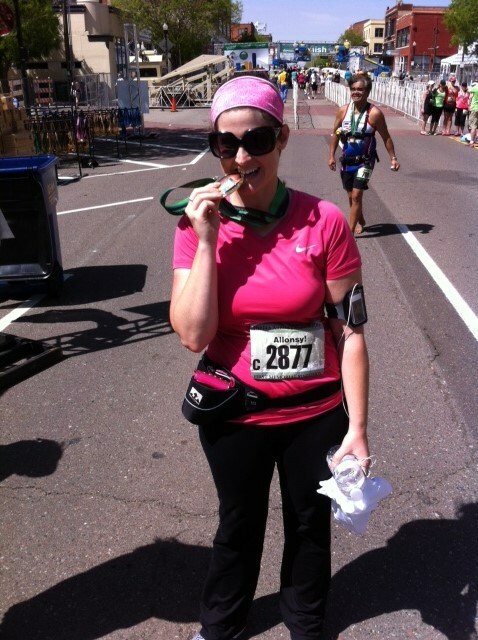 Why will I not run a marathon again? Perhaps you haven’t read this post. Read it. It explains EVERYTHING. Also, if you’re considering making a 30 By 30, keep the goals small. Don’t say, “I want to cook through Julia Child’s entire cookbook” and count it as one goal. You will regret it. Trust me. I’ve been feeling the itch to have another wee one ever since Huff the Babe turned 1. Plus, she needs a little sibling. Just not yet! Tie: Run a Marathon and Pay Off All School Loan Debt. Running a marathon is HARD. Not just physically, but mentally, emotionally, and spiritually. 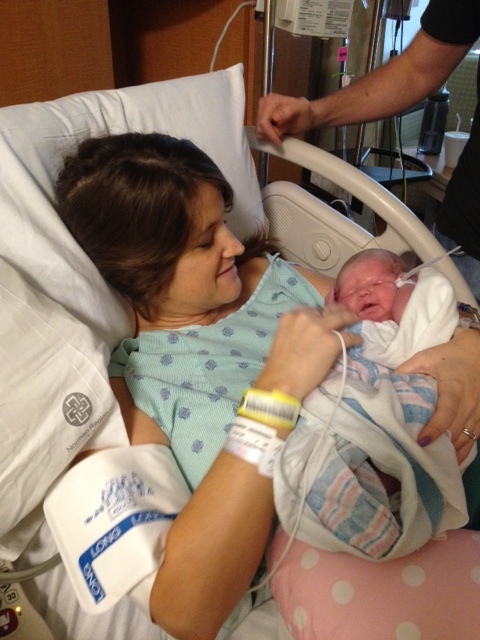 Next to childbirth, it is the most difficult thing I have ever done. When Huff the Hubs and I got married, we both brought in student loan debt. We wanted to be completely debt-free before we had a baby, and we met that goal! In a little over a year, HtH and I were able to pay off over $20K in debt! We were both so proud (and thankful)! Tie: Get a Literary Agent and Buy a House. Don’t get me wrong, I am so incredibly grateful to my sister for letting Huff the Hubs, Huff the Babe, and I squat at her house. It’s helped us save for a down payment and has also helped her to have someone home to take care of her pup while she’s working on her Master’s. But still, I’m ready to have a house of my own. But, I know everything happens for a reason! There’s a reason we haven’t found one yet and I’ll just have to accept that and move on!